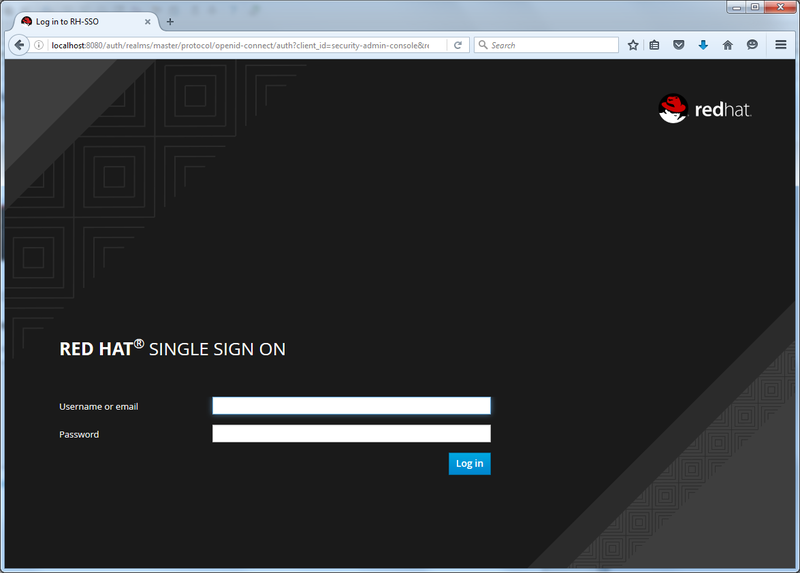 Red Hat Single Sign-On (RH-SSO) is based on the Keycloak project and enables you to secure your web applications by providing Web single sign-on (SSO) capabilities based on popular standards such as SAML 2.0, OpenID Connect and OAuth 2.0. The RH-SSO server can act as a SAML or OpenID Connect-based Identity Provider, mediating with your enterprise user directory or 3rd-party SSO provider for identity information and your applications via standards-based tokens. Acts as a standalone SAML or OpenID Connect-based Identity Provider. Certified with LDAP servers and Microsoft Active Directory as sources for user information. Integrates with 3rd-party Identity Providers including leading social networks as identity source. Specify user federation, role mapping, and client applications with easy-to-use Administration GUI and REST APIs. Unzip the package in a directory where you want to deploy the server. Install and run Red Hat SSO. Confirm Red Hat SSO has started successfully. Access the admin console to create users and assign roles. After the server has started, you can access the admin console. You need an admin account to create realms and users and to register the applications you want to secure with RH-SSO. Red Hat Single Sign-On (RH-SSO) supports three operating modes: Standalone, Standalone clustered, and Domain clustered. Application server configuration changes can be applied offline or at runtime using the command line. Red Hat offers subscription services for each major release of Red Hat Single Sign-On.